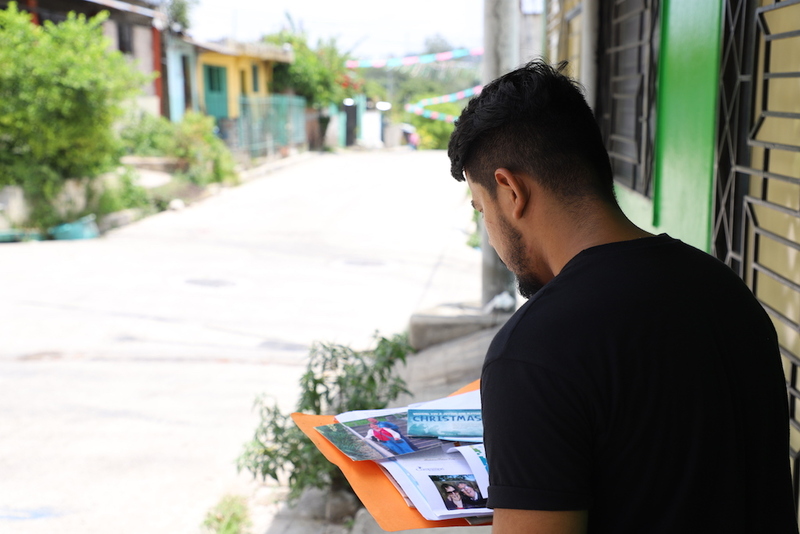 Samuel* grew up in a poor urban community in El Salvador with his mom and older sister. Everyone was friendly and seemed to know one another. But most parents had to leave early for work and come back late in the evening. But when Samuel turned eight, close friends told his mom about a program at a church that benefited children—and Samuel was registered in Compassion. Soon, he got a sponsor. When Samuel was enrolled in and sponsored through Compassion’s program, he started to feel loved and cared for by his sponsors, becoming more sharpened by his growing faith in Christ. 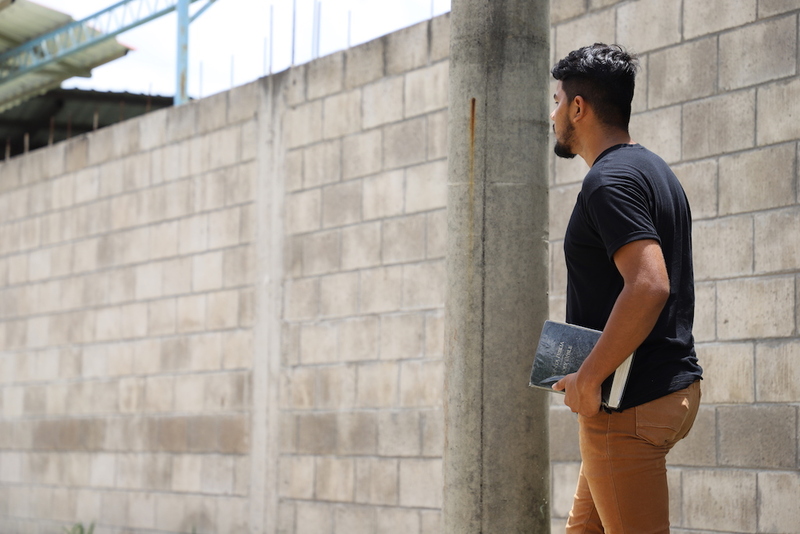 The program director and co-pastor at the church, Edwin, became a role model for Samuel. 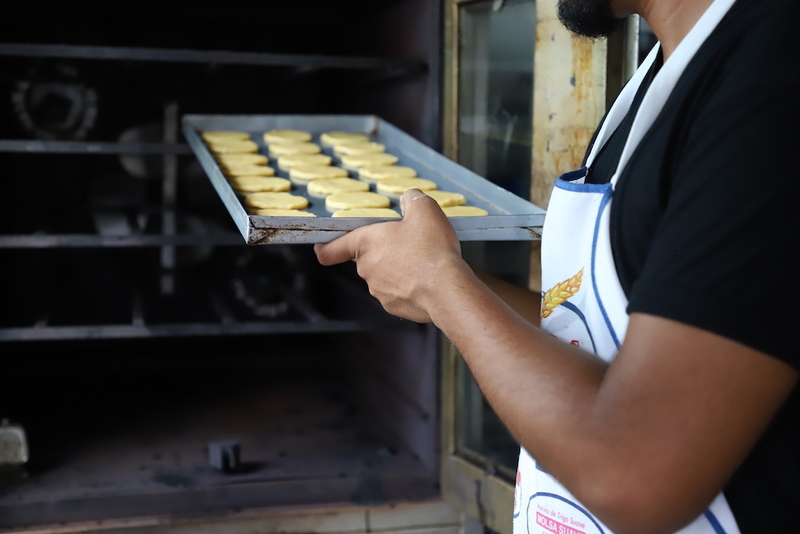 As Samuel grew, he and his childhood friends began working at a local bakery to earn a little income by cleaning and greasing baking trays. Their friendship became stronger—but also dangerous. 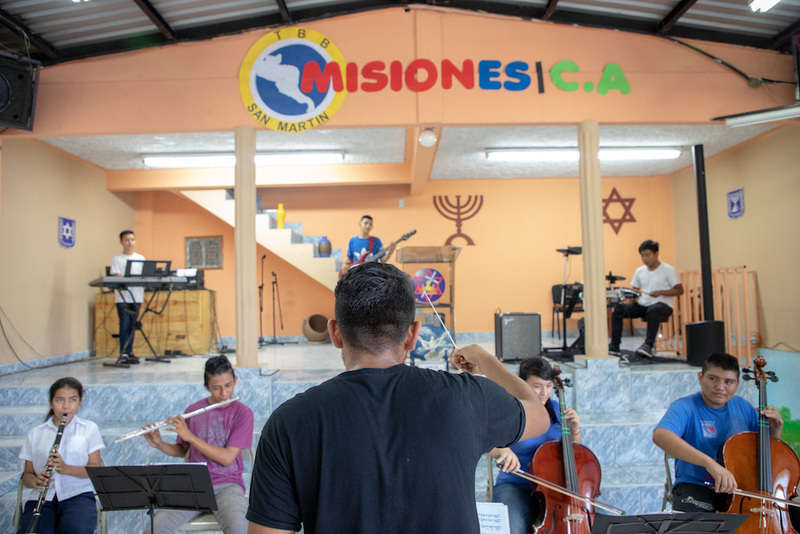 When Samuel turned 14 years old, he joined Compassion El Salvador’s Youth Symphonic Orchestra. He learned to play the violin, viola and cello. His first performance took place in the National Theatre of San Salvador. As he looked around the theatre in his formal attire, Samuel filled with regret. 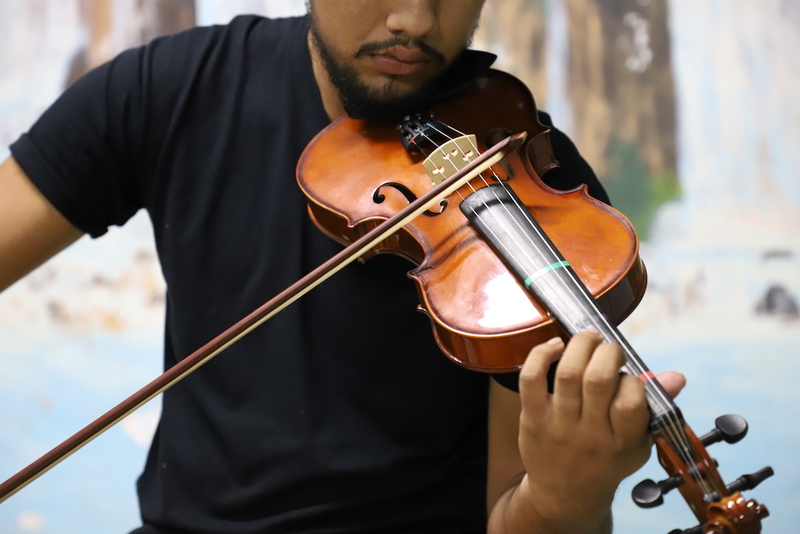 Samuel learned to play instruments like the violin, playing with Compassion El Salvador’s Youth Symphonic Orchestra. Back in the community, Samuel was on the streets with his old friends, now in a gang. He would follow orders to beat up people he didn’t know, and he gathered the gang’s extortion money from the truck drivers who delivered water to the community. He grew marijuana and did drugs himself. But all along, his sponsors’ words and Pastor Edwin’s advice rang in his heart, and all he really wanted was to stop. Even when he had hit rock bottom in the gang, Samuel remembered the words his sponsors had written to him. Pastor Edwin knew something had to change. So when Samuel was 15, he boldly confronted the gang leader with an ultimatum. 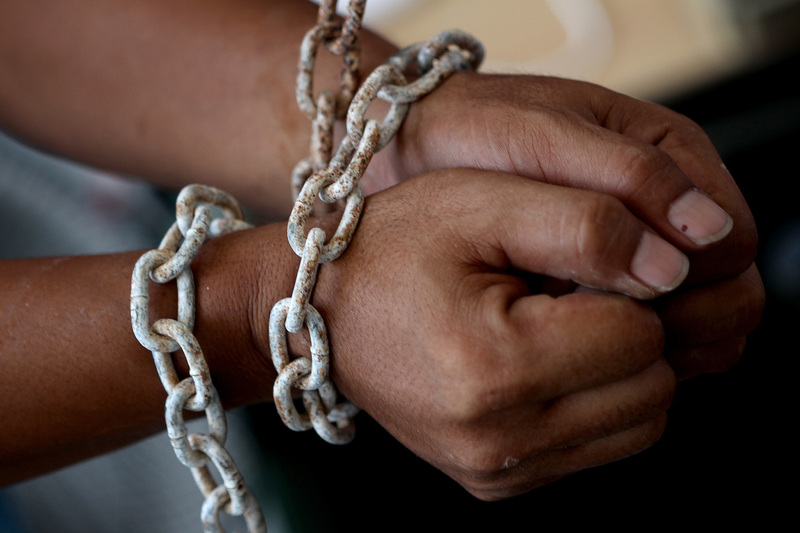 In many gangs in El Salvador, there are only two ways out—death or becoming a Christian. If someone shows they are truly following Christ, the gang will let them leave. When the gang leader said Samuel had one year to prove he was a Christian, Samuel immersed himself in the vocational workshops at his Compassion centre, such as sewing and baking. After that day, Samuel invested his time at church and school. He joined all of the vocational workshops at the Compassion centre. He learned to sew and to bake. He learned to play guitar, bass, drums and keyboards. Samuel became so committed at the centre that he never thought of returning to his old life. He passed his trial year successfully—and the gang leader let him out of the gang. Samuel now directs his own youth orchestra at church, and even serves as the church worship leader! He recently joined the rowing team at the centre, and will compete in Peru in 2019 representing El Salvador. Far from gathering extortion money for his gang, Samuel now uses his leadership skills to lead a youth orchestra at church. Three years after the ultimatum, Samuel is a different person. His mom is so proud of him. The church has seen Samuel’s change of heart and are supporting his academic dream, paying for his studies in Industrial Engineering. Samuel is in his second year at university and is doing well. With his Pastor and program director, Edwin, standing by him through it all, Samuel is learning self-respect and discipline through participating in life-giving activities like the rowing team at his Compassion centre. His team will compete on behalf of El Salvador in Peru in 2019! Samuel is so glad to be free.